But a new study found that closing schools where students achieve low test scores doesn’t end up helping them learn. Moreover, such closures disproportionately affect students of color. What’s surprising, however, is who conducted the study – corporate education reform cheerleaders, the Center for Research on EDucation Outcomes (CREDO). Like their 2013 study that found little evidence charter schools outperform traditional public schools, this year’s research found little evidence for another key plank in the school privatization platform. These are the same folks who have suggested for at least a decade that THE solution to low test scores was to simply close struggling public schools, replace them with charter schools and voilà. But now their own research says “no voilà.” Not to the charter part. Not to the school closing part. Not to any single part of their own backward agenda. Stanford-based CREDO is funded by the Hoover Institution, the Walton Foundation and testing giant Pearson, among others. They have close ties to the KIPP charter school network and privatization propaganda organizations like the Center for Education Reform. If THEY can’t find evidence to support these policies, no one can! After funding one of the largest studies of school closures ever conducted, looking at data from 26 states from 2003 to 2013, they could find zero support that closing struggling schools increases student test scores. The best they could do was find no evidence that it hurt. But this is because they defined student achievement solely by raw standardized scores. No other measure – not student grades, not graduation rates, attendance, support networks, community involvement, not even improvement on those same assessments – nothing else was even considered. Perhaps this is due to the plethora of studies showing that school closures negatively impact students in these ways. Closing schools crushes the entire community economically and socially. It affects students well beyond academic achievement. The CREDO study did, however, find that where displaced students enrolled after their original school was closed made a difference. If Sally moves to School B after School A is closed, her success is significantly affected by the quality of her new educational institution. Students who moved to schools that suffered from the same structural deficiencies and chronic underfunding as did their original alma mater, did not improve. But students who moved to schools that were overflowing with resources, smaller class sizes, etc. did better. However, the latter rarely happened. Displaced students almost always ended up at schools that were just about as neglected as their original institution. Even in the fleeting instances where students traded up, researchers noted that the difference between School A and B had to be massive for students to experience positive results. Does that mean school closures can be a constructive reform strategy? No. It only supports the obvious fact that increasing resources and providing equitable funding can help improve student achievement. It doesn’t justify killing struggling schools. It justifies saving them. Another finding of the CREDO study was the racial component of school closings. Schools with higher populations of blacks and Hispanics were more likely to be shuttered than institutions serving mostly white students. In addition, schools with higher poverty populations were also more likely to be closed than those serving middle class or rich children. Yet you really don’t need an academic study to know that. All you have to do is read the news. Read about the closings in Chicago, New Orleans, Detroit – really any major metropolitan area. The fact that CREDO admits it, only adds credence to arguments by critics like myself. It is no accident that poor black schools get closed more than rich white ones. Poor students of color are targeted for this exact treatment. Corporate education reform is not just bad policy; it is racist and classist as well. Greg Richmond, President of the National Association of Charter School Authorizers, was shocked by these findings. But his industry benefits from these practices. Just as CREDO’s backers do. Never has our country been less prepared to deal with the real problems besieging it. But if the time ever comes when sanity returns, we cannot simply go back to familiar habits. School closures and charter school proliferation are bad no matter who proposes it – Republicans or Democrats. Regardless of who sits in the Oval Office, regardless of who represents us in federal, state and local government, we have to make sure they do the right things for our children. That means learning from our mistakes. Beyond partisanship. Beyond economics. It’s the only way to build a better world. CREDO’s study just adds fuel to the fire surrounding the regressive education policies of the last decade. If we’re ever in the position to hold a match, will we have the courage to strike it? ← Who is Responsible for Student Achievement? I’m retiring at the end of this school year. I can’t tell you how sick i have become of these clueless geniuses of school reform who take years to come to conclusions that anyone with a scintilla of common Sense could have seen in minutes. Meanwhile a whole generation of students have been devastated by their ideological fantasies and adamant refusal to see the historical realities of racism and classism. The greed-is-great corporate reform movement to replace the public sector, including the traditional public schools, with for-profit corporate schools has FAILED while destroying one of the best public school systems in the world that other countries once studied and copied. In other words, the “Make America” slogan that Trump used was working hard decades ago to Make America White and Poor Again. Ryan writes: “Over the past three decades, public schools have been the target of a systematic assault and takeover by corporations and private foundations. The endeavor is called “school reform” by its advocates, while critics call it corporate school reform. Finnish educator Pasi Sahlberg has given it the vivid acronym GERM–the global education reform movement. Its basic features are familiar: high-stakes testing; standardized curricula; privatization; and deskilled, high-turnover faculty. 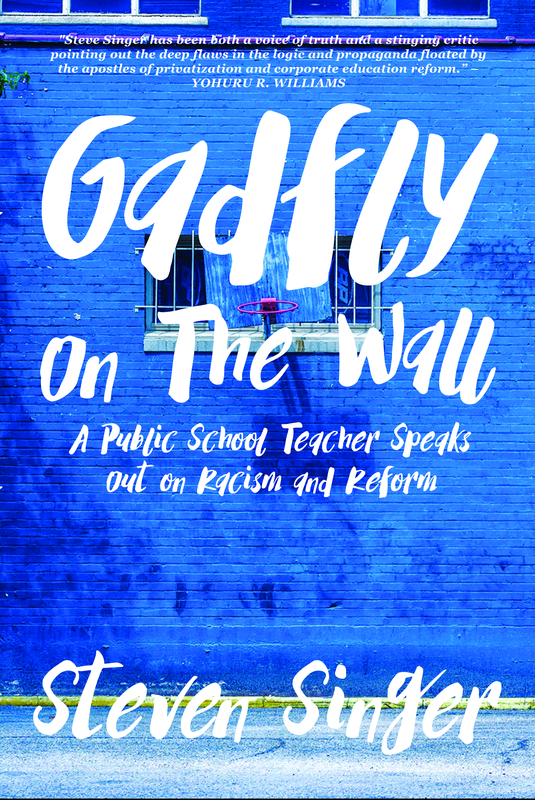 In the United States, public schools have become increasingly segregated, destabilized, and defunded, with the hardest hit in low-income communities of color. A large body of research, however, challenges the merits of high-stakes testing and other elements of the corporate school reform package. It is also at least questionable whether the reformers really believe their own statements. You will find it interesting to see how he weaves together the various strands of the corporate reform movement. I met a young teacher at a school with one third disabled students whose parents were attracted by the excellent programs. Yet despite their success, the school was closed due to low standardized test scores. It’s time we abandon this one-size-fits-all approach that backfires on our neediest students. It’s an important issue that CREDO addresses regarding impacts on students who attend a school that is being closed. But far more kids experience the impacts after a closure… kids who would have gone to the closed school but didn’t. What do we know about those effects? I’d like to send you a copy of my book “Infidelity to Truth: Education Malpractice in American Public Education”. In it I discuss the purpose of American public education and of government in general, issues of truth in discourse, justice and ethics in teaching practices, the abuse and misuse of the terms standards and measurement which serve to provide an unwarranted pseudo-scientific validity/sheen to the standards and testing regime and how the inherent discrimination in that regime should be adjudicated to be unconstitutional state discrimination no different than discrimination via race, gender, disability, etc. . . . Please email me at duaneswacker@gmail.com with your address and I’ll send it off to you.